Here is a couple of interview questions from the Android operating system, It is collected from various telephonic and face-to-face interviews. Any Java programmer can use it to prepare for the Android interview. Question 1: What is the difference between a regular .png and a nine-patch image? Answer: This is one of the most popular Android Interview questions, asked in several interviews ranging from 1 to 2 years of experience to 5 years. The answer is, It is a resizable bitmap resource that can be used for backgrounds or other images on the device. The NinePatch class permits drawing a bitmap in nine sections. The nine patch images have extension as.9.png. It allows extension in 9 ways e.g. 4 corners that are unscaled, 4 edges that are scaled in 1 axis, and the middle one that can be scaled into both axes. Question 2: What is an ANR notification in Android? Answer: ANR is short for Application Not Responding. Android systems show this dialog if the application is performing too much of task on the main thread and been unresponsive for a long period of time. Question 3: How to share content using Android Share Intent? Share intent is an easy and convenient way of sharing content of your application with other apps. Question 4: When does onResume() method call? Another frequently asked android interview question. 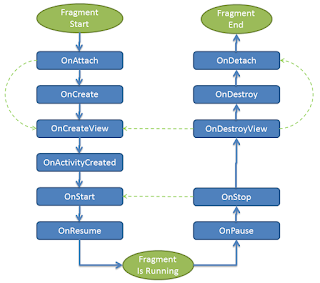 onResume() method is an activity lifecycle method. This is called when the activity comes to the foreground. You can override this method in your activity to execute code when activity is started, restarted or comes to the foreground. See The Complete Android Nought 7 Developer Course to learn more about life-cycle of events in Android. Question 5: What is an action in Android? A description of something that an Intent sender desire is called Action in Android. Question 6: What is the difference between an implicit intent and explicit intent? You can further read Introduction to Android Development By John Sonmez to learn more about Implicit and Explicit Intent. Question 7: What is APK format? The APK file is compressed AndroidManifest.XML file with extension.apk, Which have application code (.dex files), resource files, and other files which are compressed into a single .apk file. Question 8: What is Dalvik Virtual Machine? Just like Java application run on Oracle HotSpot JVM or Azul JVM, Android application runs on the Dalvik Virtual Machine. 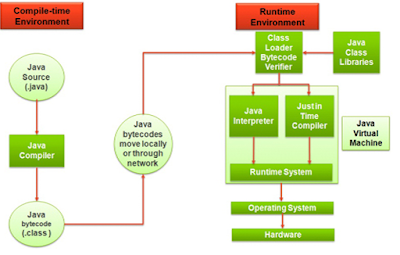 Since Android code is written in Java, they are also compiled first and then executed, but the JVM for which the bytecodes are generated is different than standard JVM. The Dalvik JVM is used to run Android app. See the answer for more detailed discussion. 1.What is Android? is it an Operating System or programming language? 2.Which programming language is used to develop an application for Android? 3.Which devices have you worked on Android platform? 4.What best practices you follow to ensure that your application work on multiple Android devices of different screen size, processing power, and features? 5.What is Activity and Intent in Android? What is the difference between Activity and Intent? 6.What kind of application have you developed on Android platform? Games, applications? 7.What is Android manifest file? Why do you need this? 8. How do you implement Internationalization and Localization in an Android application? If you have faced any interesting Android Question or looking for the answer to any tricky Java question or Android question then you can share with us as well. Thanks for reading this article. If you like these questions and my explanations then please share with your friends. If you have any feedback or questions then please share with us. Can you please share answer of remaining Android Interview question, also it would be fantastic if share some more Android Interview question for 1 year and 2 year experience Android developers. I have experience in J2ME and programming in Android from 2 years. I have 8 years of exp in mobile application development, which includes c, brew, and android. I am working as technical lead in Samsung. Thanks for sharing good questions. What is difference between Android and J2ME? What is difference between Android and Symbian or Windows Mobile? Can you code in Java 8 for Android application? If no, why not? What is difference between byte code generated by javac and android ? Can you please share some Android questions for freshers and 1 year experience? I have done some Android programming for my own projects, which Android topics should I prepared to do well? Does knowing Java is enough for getting Android job? Also what is the difference between Android questions for say 1 year experience or 2 to 3 year experience guy? which topic they asked more on each interview?